When it the weather is hot ice creams are the go to snack in this house. But what happens when they've eaten all the ice lollies?? You make giant frozen yoghurt buttons of course. 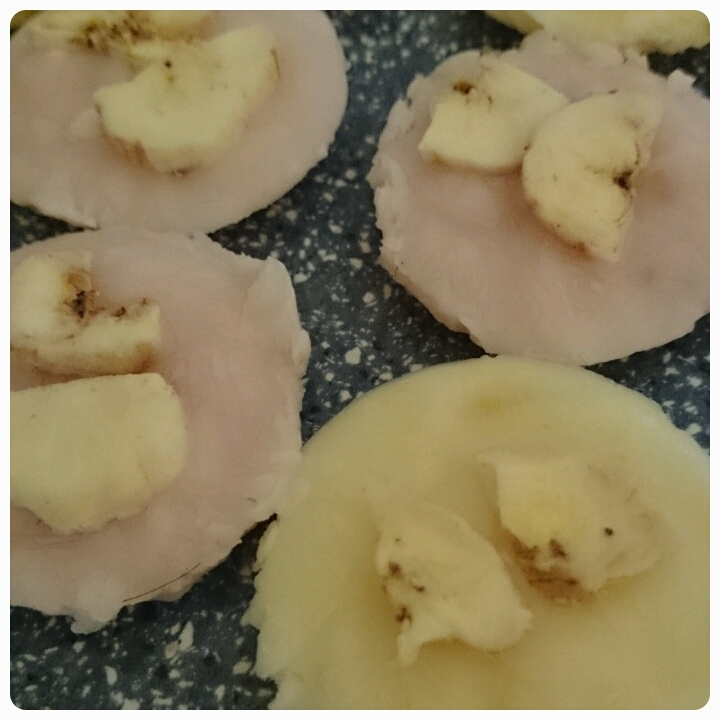 A quick and easy recipe below that creates a yummy yet relatively healthy snack. * Handful of dried fruit. Now you can prepare your buttons on a normal baking tray using a sheet of baking paper to rest them on. I however chose to prepare them in a yorkshire pudding tray. Mine was big enough to create 12 giant buttons. * Spoon in enough yoghurt into each slot to create your button shapes. * Sprinkle some dried fruit over the top of each button, I opted for banana chips. * Place in the freezer for atleast three hours. * If you opted to make your buttons a tray like mine, you can release them from the tray by holding them over hot water for 10-20 secs. 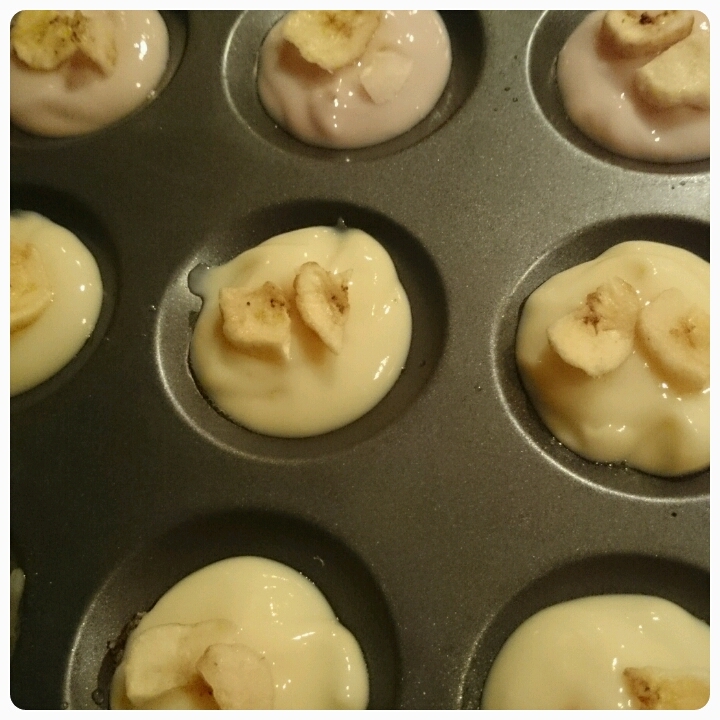 The great thing about these is that they are not only quick and easy to make, you can create different flavour combinations each time you make them, depending on what yoghurt and dried fruit you have to hand. What flavour frozen yoghurt buttons would you make? ?